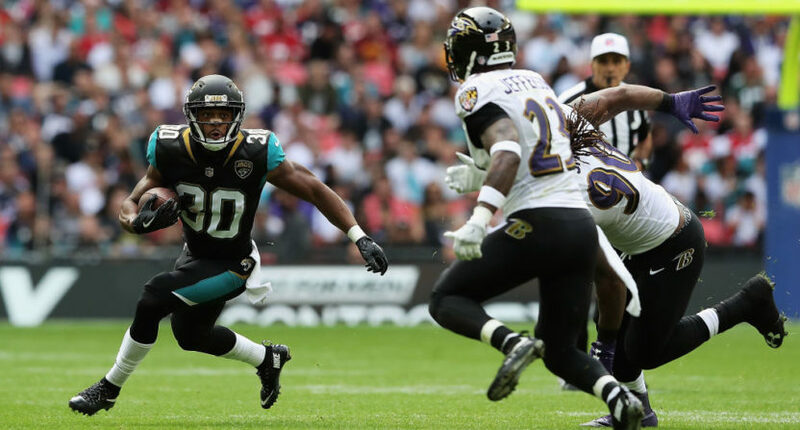 Why won't the NFL release viewership numbers from its Yahoo-only London game? Why won’t the NFL release viewership numbers from its Yahoo-only London game? The NFL can't be criticized for its ratings if it simply refuses to release them. Typically, the NFL and its broadcast partners can’t control the release of viewership data. Ratings are tabulated and released by Nielsen, and although the league can attempt to spin them, the numbers, good or bad, are out there. That’s why the source of the NFL’s ratings decline over the past year and a half can become a national story without the league doing anything about it. But because the September 24 Jaguars-Ravens game in London was aired exclusively through Yahoo, it sits outside of Nielsen’s domain. The only way we can know how many people watched the matchup is if the NFL (or Yahoo) tells us. And a month later, mum’s the word. The official word, two days after the game, was that the information was still being gathered. The official word, a month later, is that there’s still no word. Given that it’s usually a fairly easy endeavor to determine the specific number of people who click links and spend time at the place where the link goes (most websites can and do track their traffic in real time), it’s becoming more and more clear that we don’t know the specific number of people who watched the Ravens-Jaguars game because the NFL doesn’t want us to know. And if the NFL doesn’t want us to know, it’s fair to conclude that the NFL doesn’t want us to know because the numbers weren’t good. The last time Yahoo aired a game exclusively, in October 2015, the NFL quickly announced that the game had been viewed by 15.2 million people, with 33.6 million streams, making it the most-streamed event in U.S. history at the time, according to the league (though those numbers can’t be compared to TV ratings because of the fuzzy logic used to tabulate those viewership totals). This time, nothing. Ultimately, this is not such a huge deal. It’s only one game out of hundreds, and the NFL has no obligation to share. But the league’s obstinance here matters to the extent it speaks to a veil of secrecy and an intense consciousness of its ratings problems. Assuming viewership for Jaguars-Ravens was weak (and if it weren’t, we wouldn’t be here), the league apparently figures it’s best off just keeping quiet, hoping no one notices and betting that any outrage will be quiet enough to be safely ignored. This secrecy could have broader implications in the future. As online streaming becomes a larger part of the NFL’s distribution strategy, we will likely see more digital-only games in years to come. And if the league gets away with concealing viewership numbers when they’re bad, it will surely try again. Whatever football ratings can teach us about sports or media or America is lost to us if the NFL guards the numbers. Secrecy benefits no one but the league. Observers of the league’s ratings dip have struggled for solutions, but the NFL may have just come up with one: just keep quiet and pretend the problem doesn’t exist.